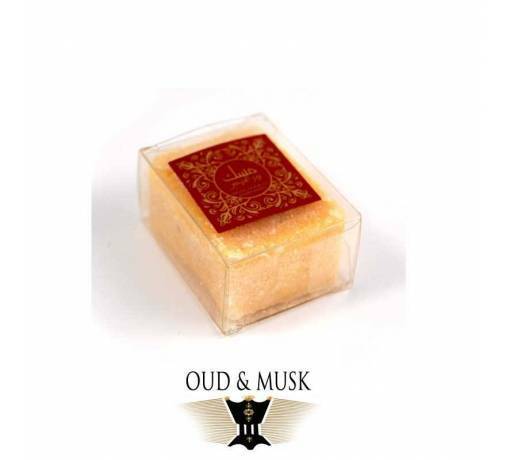 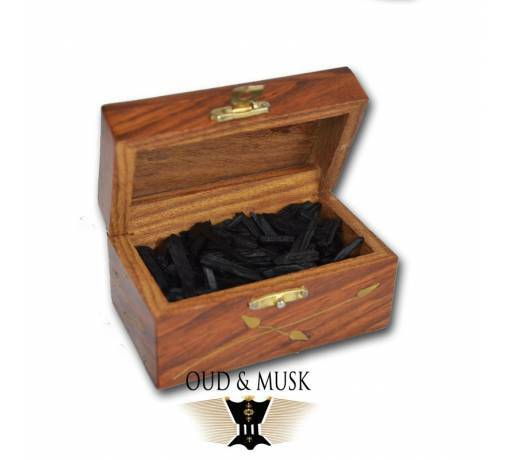 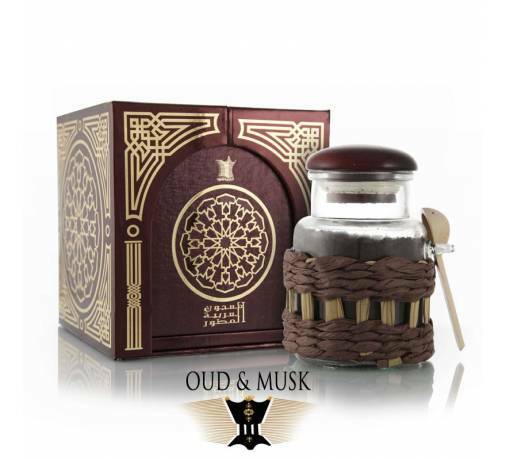 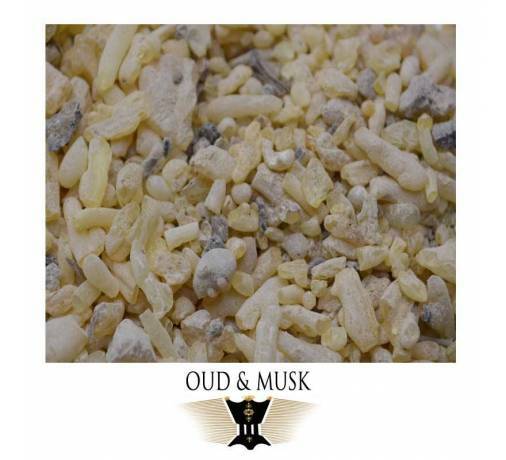 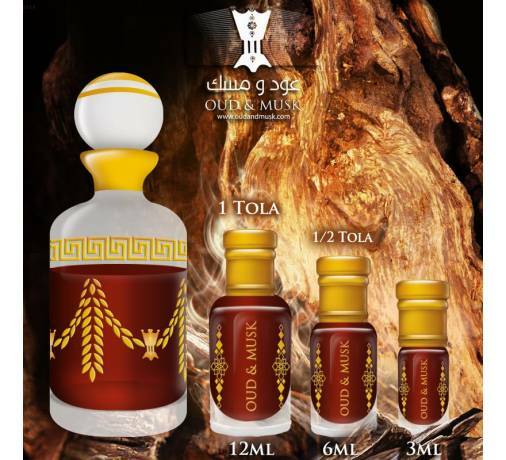 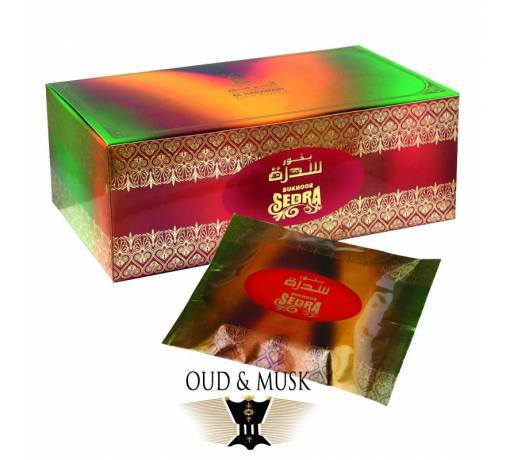 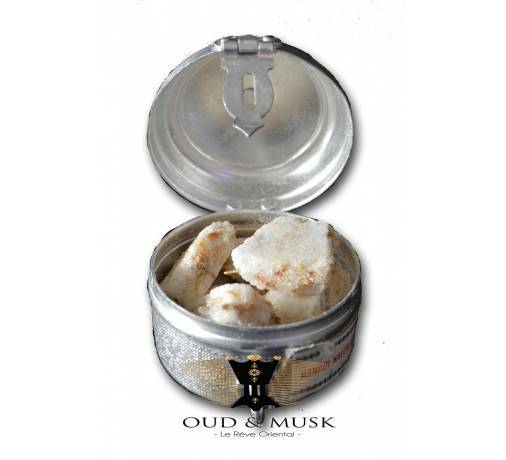 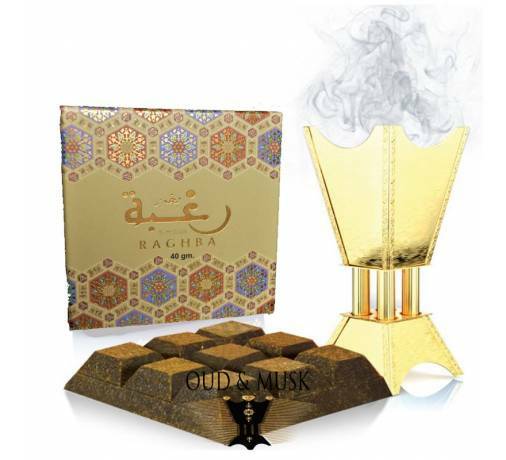 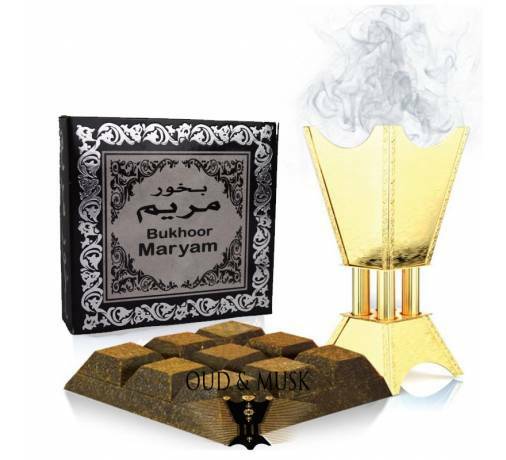 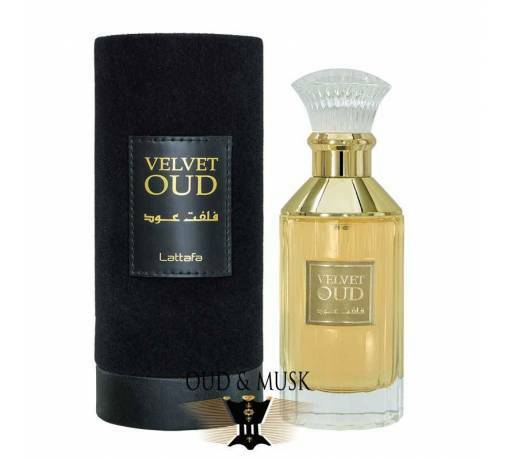 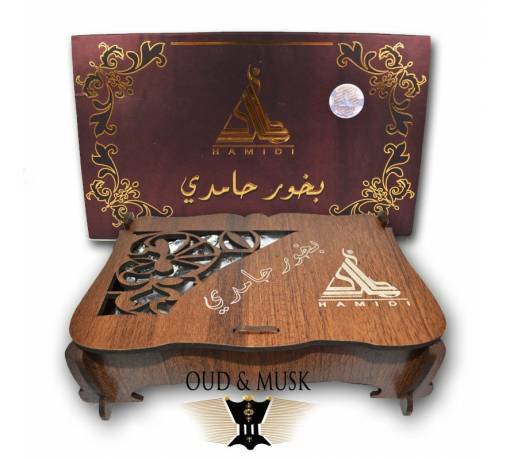 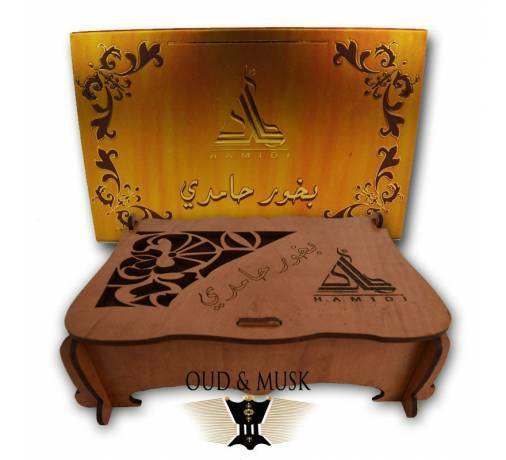 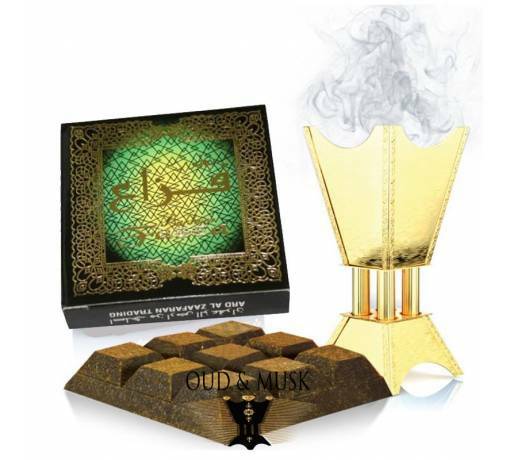 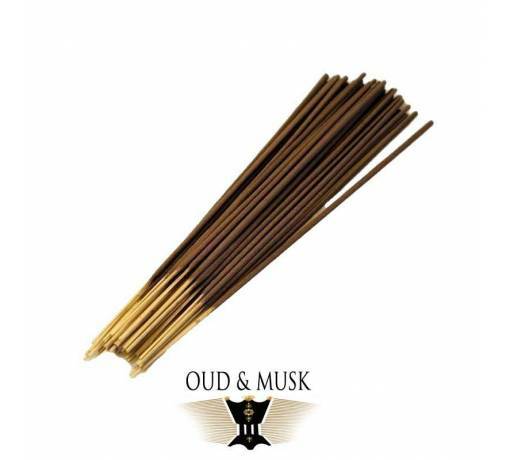 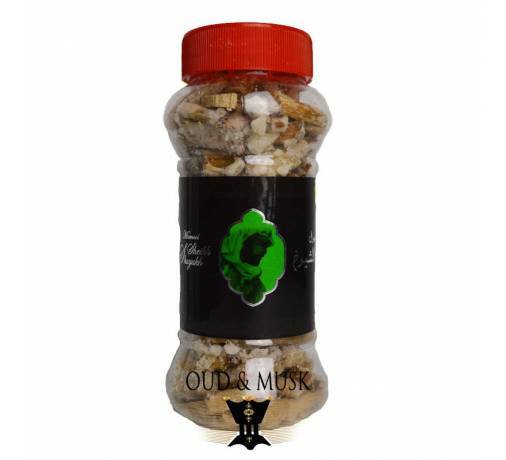 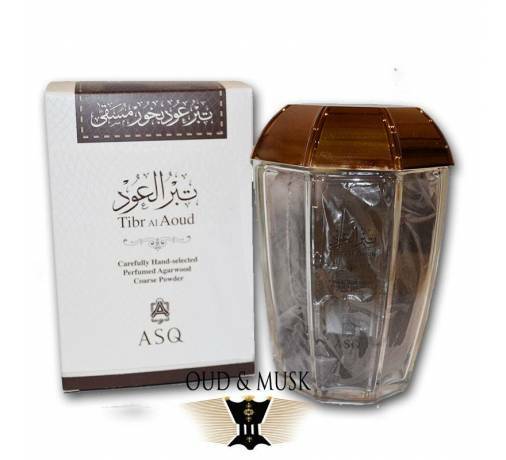 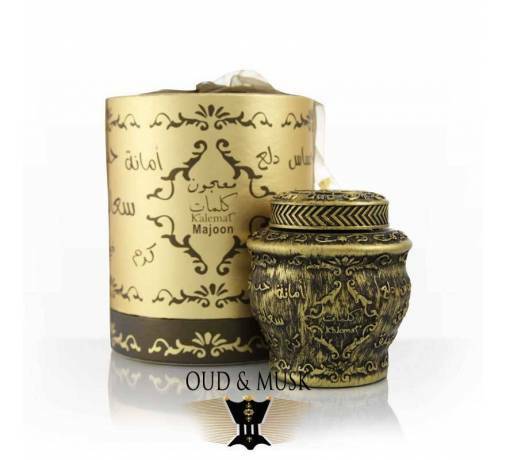 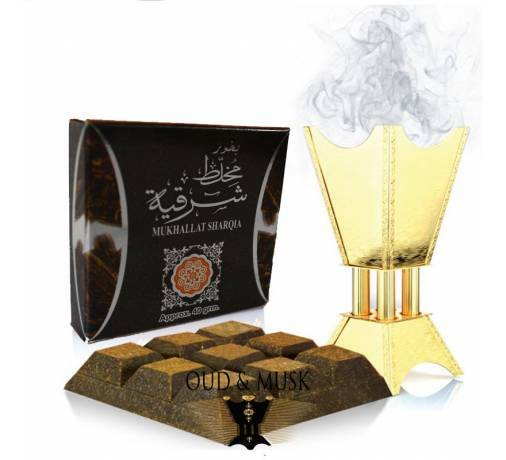 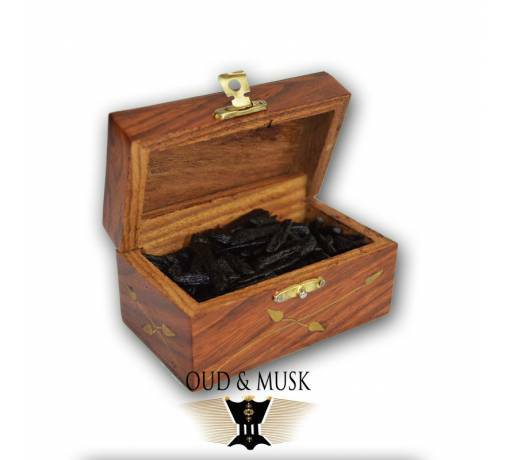 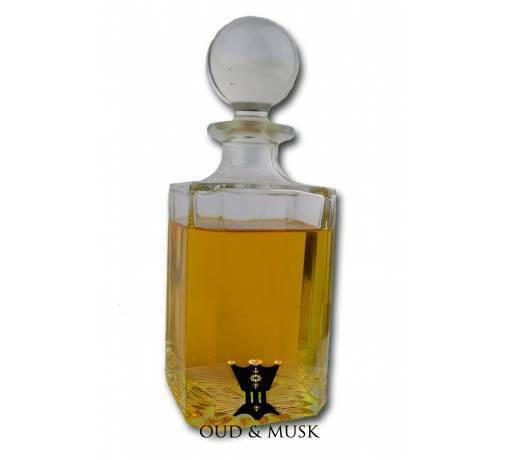 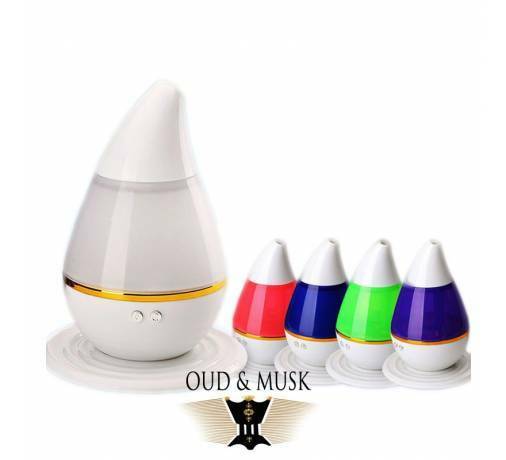 A traditional Arabic incense, a confection made from agarwood chips dipped in perfume oils following ancestral methods ... 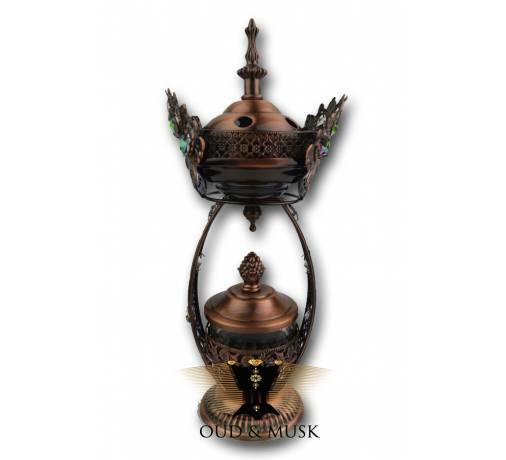 When burned in an incense burner, they emit a rich smelling and thick smoke. 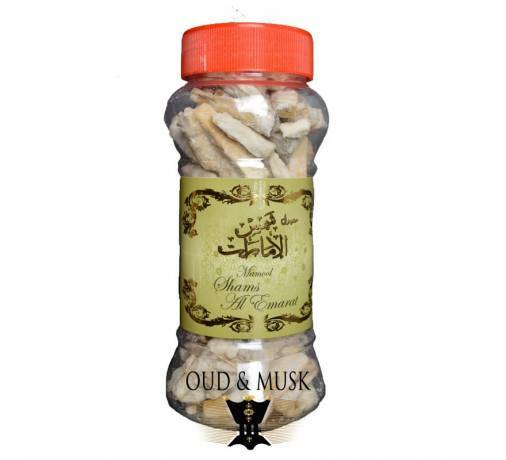 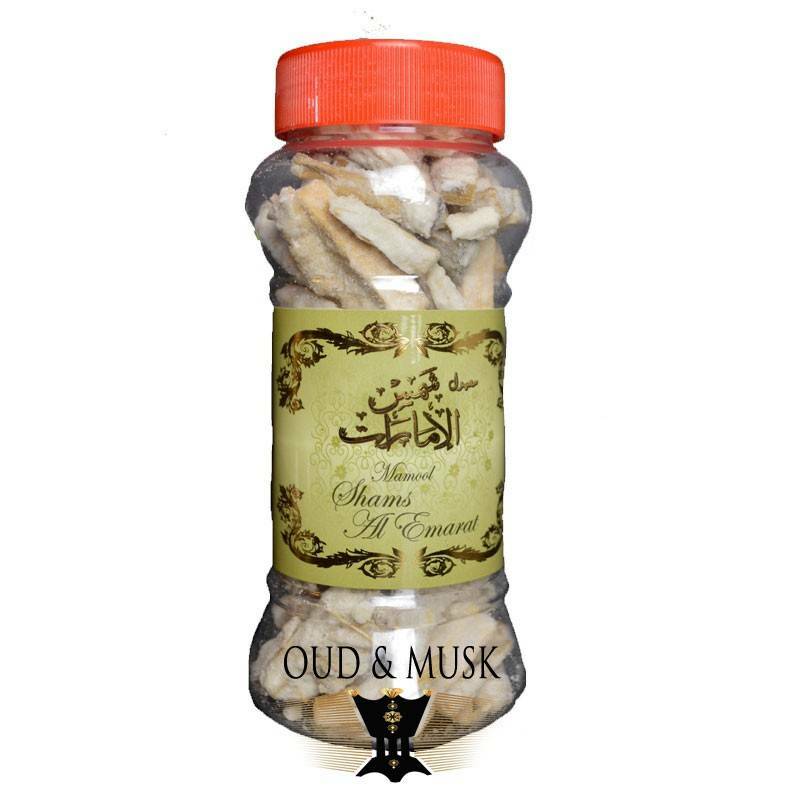 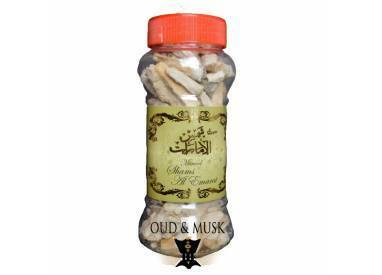 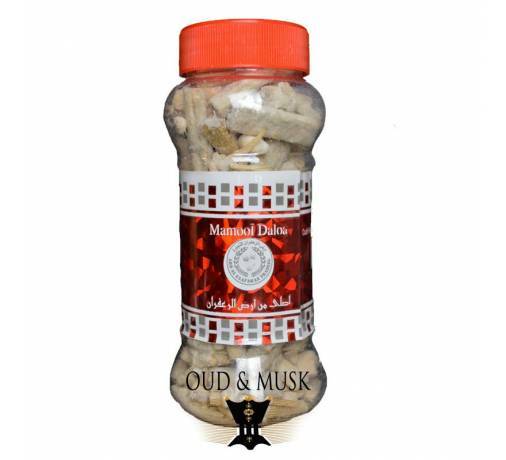 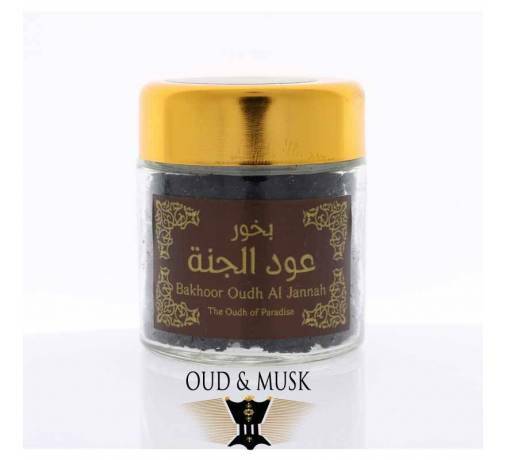 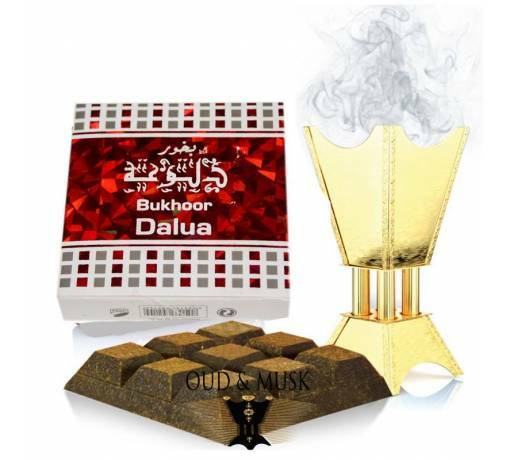 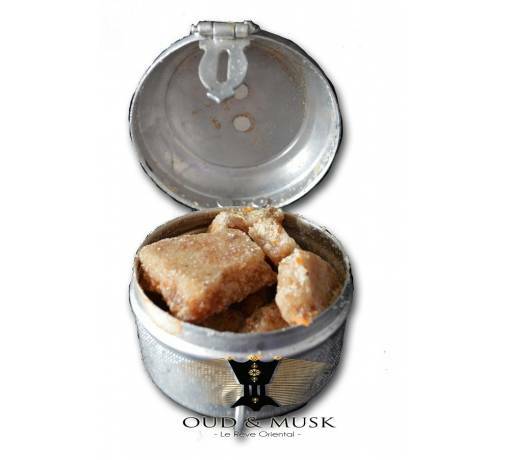 This bakhoor is used to scent the house, on special occasions or to honor guests.